Every year, countless people pour into the Louvre in Paris and the Museum of Natural History in Washington, D.C., hoping to catch a glimpse of something beautiful: diamonds. These jewels– the Hope Diamond, the Regent Diamond, and the collection of diamonds making up the Napoleon Diamond Necklace, are world famous, and once you’ve seen their tremendous beauty, it isn’t hard to see why. But what do the Napoleon Diamond Necklace, the Hope Diamond, and the Regent Diamond have in common? 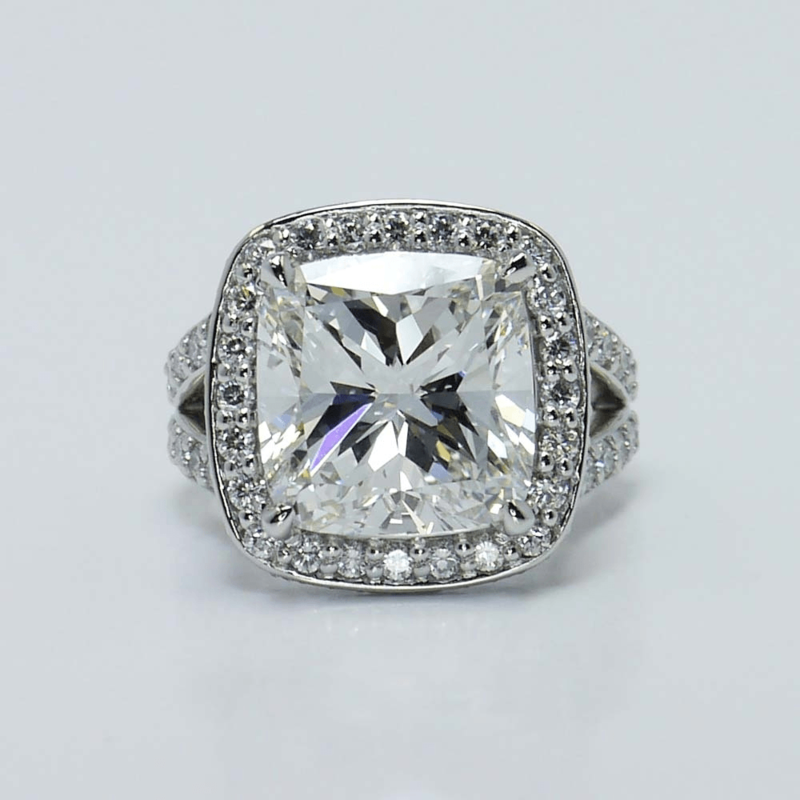 They are all cushion cut diamonds, a style that has been popular since before the nineteenth century. 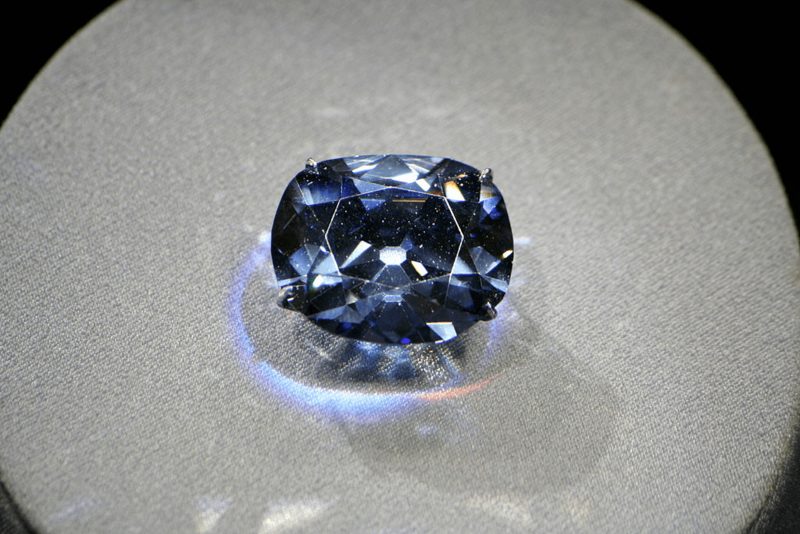 And while it may be hard to mimic the enormity of those famous stones (the Hope Diamond is 45.52 carats, the Regent is 140.64, and the Napoleon Necklace weighs in with a total 263 carats), the cushion cut can bring new life and sparkle to a diamond of any size–making it one of the best cuts for a pair of diamond earrings. The cushion cut evolved from the old mine cut, named for the early diamond mines in Brazil. This 58-facet cut was the go-to design for nearly all diamonds until the late nineteenth century, and these days the cushion cut is featured in timeless, vintage-style jewelry that sparkles with an old-Hollywood elegance. But cushion cuts are making a comeback these days. Kim Kardashian’s engagement ring from Kanye West features a beautiful cushion cut diamond, and Jennifer Aniston has been spotted wearing cushion cut diamonds in her jewelry on the red carpet. The multifaceted cut captures the light in a beautiful way and looks absolutely stunning in any setting, which makes it a hot design for ladies looking for ultimate glamor. What makes a cushion cut sparkle? We’ve already talked about the 58 facets, but much of the diamond’s fire has to do with the shape. Cushion cuts have a high crown (top) and deep pavilion (bottom), as well as a square shape with rounded edges, much like a pillow — hence the name. 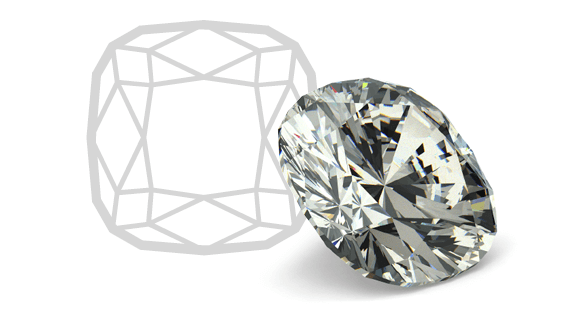 The cushion cut also lacks a standard guideline for its cut, which makes each diamond as unique as the woman who wears it. 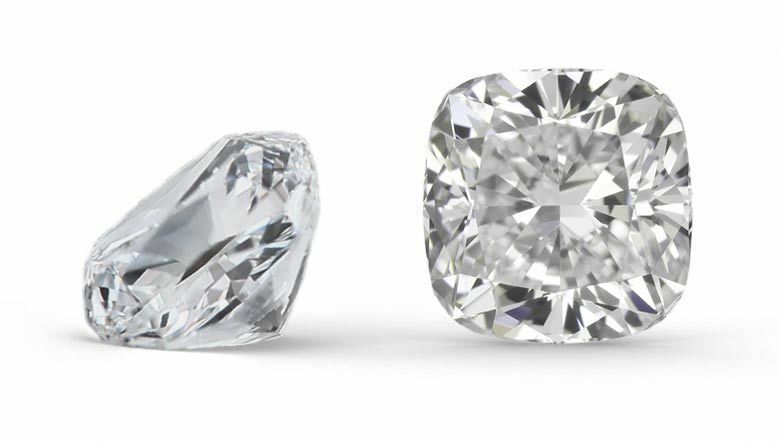 Varieties on the cushion cut usually bear a slightly different name (like modified cushions, classic cushions, crushed ice, and more), and while they are all related, they all have slightly different looks that are suited better to different types of jewelry. One of the wonderful things about cushion cut diamonds is their versatility. The classic square shape and exquisite fire of the stone make this cut a wonderful choice for any type of jewelry. Engagement rings and pendants look absolutely stunning with a cushion cut center stone for a focal point, and a pair of cushion cut diamond earrings can really light up a room. When you (or someone you love) are wearing cushion cut earrings, you’re bound to turn more than a few heads. Those gorgeous diamonds will catch the light as you laugh, talk, and move your head, particularly if you have shorter hair or your hair is pulled back. 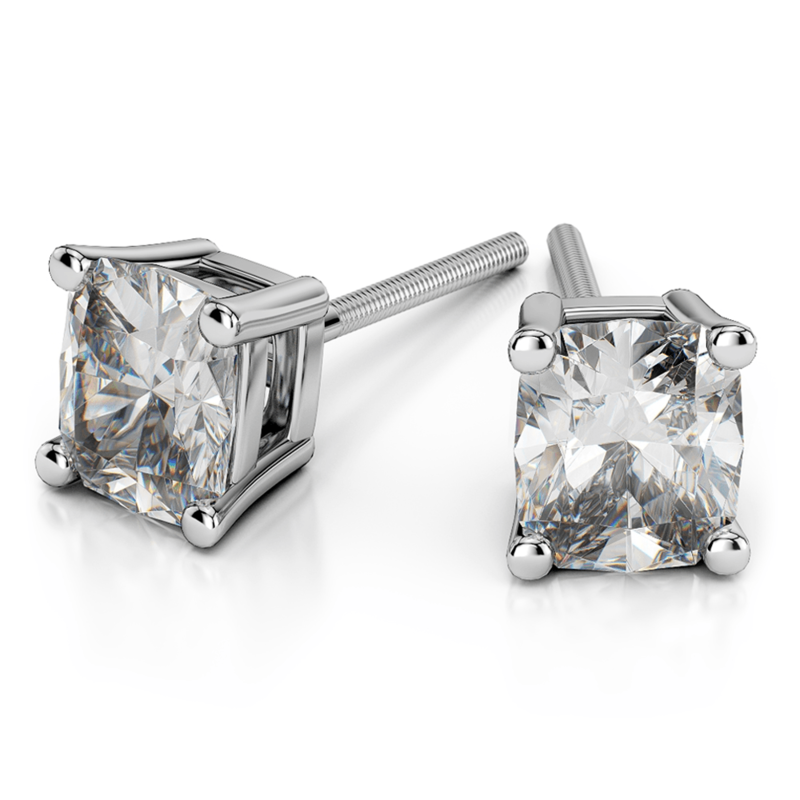 And even though the cut is popular, the choice of a cushion cut earring over the more standard round, princess, or Asscher is even more likely to start a conversation. But you might be wondering what style of earring is best for these classic diamonds. That really depends on your personal style. Maybe you are looking for something understated, yet classy and stunning. 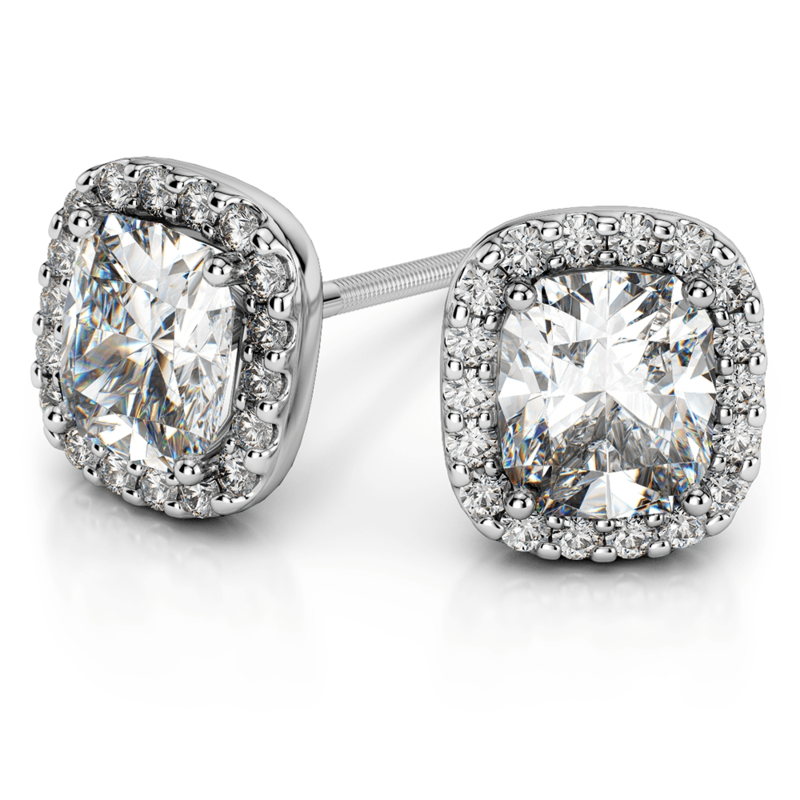 A pair of simple diamond studs set in white gold will add that elegance to your look without being a distraction. This look is great for those women whose style is simple, yet beautiful, harkening back to the old Hollywood style of icons like Audrey Hepburn. But maybe you’re not an Audrey. If you’re more of a Marilyn, then you know better than anyone that diamonds are a girl’s best friend, so why not take all your friends out for a night on the town? A pair of cushion cut earrings surrounded by a halo of striking pavé diamonds will really garner some attention, lighting up your smile in the process. You can even play a little with this glamorous style, setting the diamonds in gorgeous platinum for a stone-cold beautiful look, or warming things up with a setting of glitzy gold. However you choose to adorn your ears, one thing is for certain: with cushion cut diamonds in your earrings, you are going to look and feel like an A-list celebrity wherever you go.